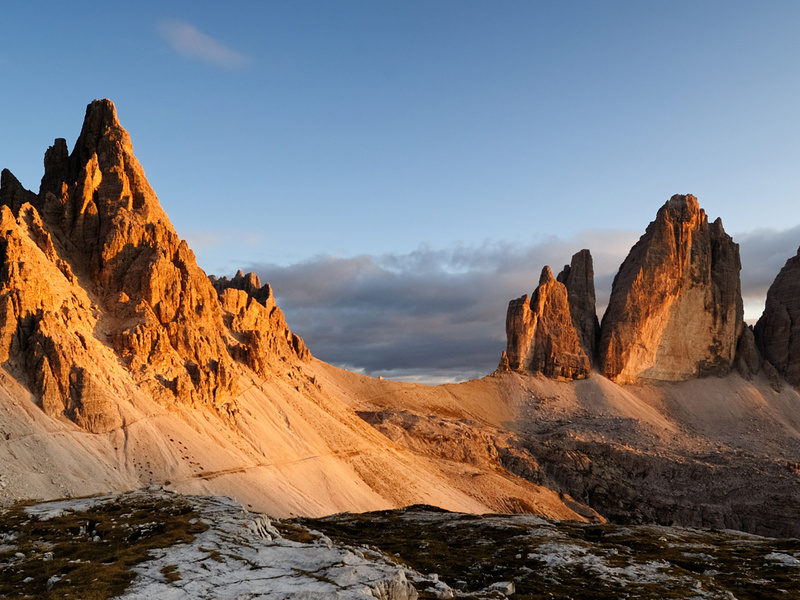 The Three peaks of Lavaredo - in German called "Drei Zinnen" - are the most popular mountain complex in South Tyrol. The little town of Sexten in their vicinity lives in summer and winter from the great tourism coming to see this World Natural Heritage site. 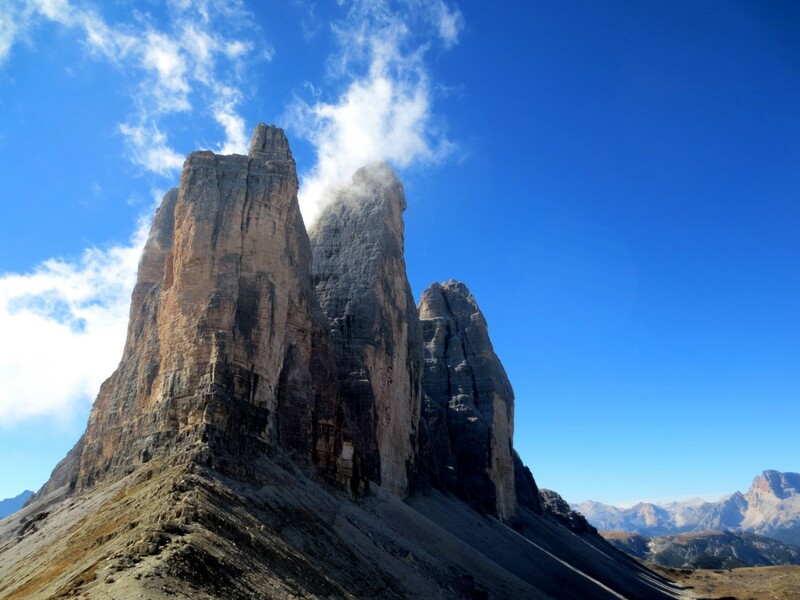 The highest peak, the Great Peak is 2,999 m high and stands in the middle of the other two, the Little Peak (2,857 m) and the Western Peak (2,973 m). 1933: Emilio Comici climbs the Great peak for the first time. 1938 Winter climbing of the northern wall of the Great Peak. 1958: Dieter Hasse for the first time climbs the peak through the "Direttissima" wall. 1963: Reiner Kauschke, Peter Siegert and Gerd Uhnert get to the peak by the "Superdirettissima" in 16 days and at a temperature of -30°C. 2002: Alexander Hubers cllimbs all alone the "Direttissima" to the Great Peak. 2003: Markus Hoppe and Walter Hölzler make a Video of a climbing. Many trekking paths are leading to the peaks from the villages near Toblach and Sexten.